What is a Ski Patroller, anyway? 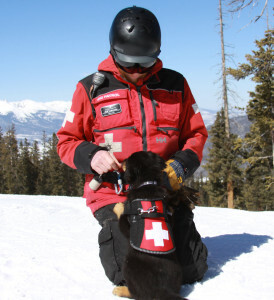 Welcome to the first installment of the Keystone Ski Patrol Blog! I am writing this in order to introduce the world to our awesome organization, and pretty much brag about the best job ever. Perhaps I could warm up by answering some frequently asked questions to give you a better idea of who we are. 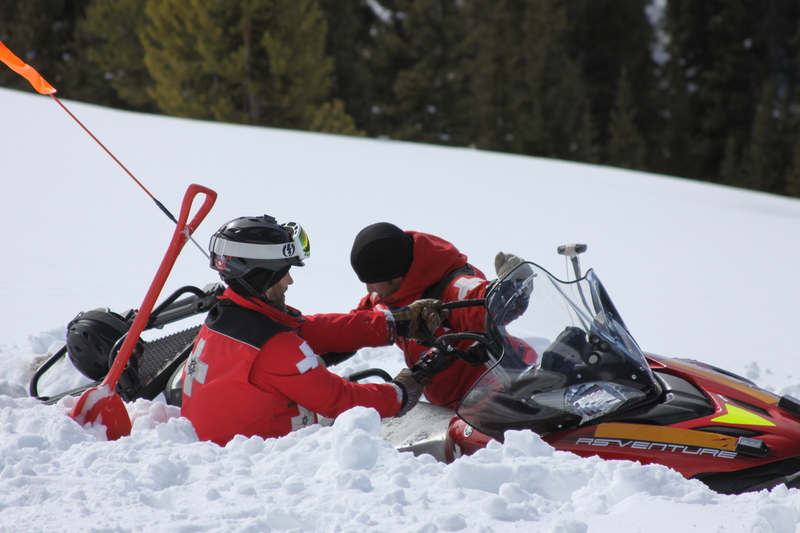 A: Ski patrollers are kind of like lifeguards in that we do help people who may be sick or injured, but our jobs involve so much more. We do everything from avalanche control, lift evacuation, good wholesome trail work, lots of training, skier education, as well as sweeps to make sure people get down safe. And by the way, we ski. A lot! A: Skiing around is a big part of our job, but a lot of the time, we get assigned to ski somewhere with a purpose. We might be delivering supplies to a certain place, looking for a guest in need of assistance, fixing a hazard on the run… or we could take advantage of a slower day and just ski our hearts out. A: Those would be the toboggans, or affectionately called “rigs”. When you think about it, we have to be competent enough to get ourselves down the mountain safely. Then we have to get this 80lb sled down behind us, and then we put a person in it. We train, and we train hard to make toboggan running second nature. We are always extremely mindful of the terrain and conditions in which we have to run the rigs, and some runs are way easier than other. A: This one time, a guest ate something strange, and wasn’t feeling well. Before we knew it, she turned into a horse! It wasn’t pretty. In all honesty, you won’t meet a patroller that will answer that question, as we have high respect for patient privacy. A: Each mountain is so different in terrain, size, and the way it is managed, that it would be very hard to get every patroller trained up to go anywhere in Colorado. Keystone patrollers stay at Keystone, and get assigned a peak to patrol each day. We do have exchange programs, however, where we temporarily send patrollers to other areas in Colorado as well as internationally! A: This is my first day, or maybe my fifth season, or maybe I’ve been doing this for 30 years. We have a really wide range of experience on this patrol, so you will find rookies and veterans alike on the hill. We don’t set our new guys loose on the public until they are fully trained and ready. A: We are an all-professional staff and do not have volunteer patrollers. Many have left year-round, 9-5 office jobs, as well as big-time money making careers to come patrol here. Some will be moving on to big-time successful careers outside of the ski industry. But right now, this is our real, actual job. A: One of the cool things about this job (and the resort industry in general) is that everyone is from all over the country and even all over the world. Some people are even from here. A: We are required to be either EMT or OEC (Outdoor Emergency Care) certified before we start the job. However, we have paramedics, nurses, Advanced EMTs, as well as aspiring doctors on staff. A: Show up for our tryouts on March 27th or 28th, and stick around on the 29th for an interview if we like you. If you have great work ethic and attitude, and can ski, then we’ll like you. If we really, really like you, make sure you have your EMT or OEC certification by the time you start.